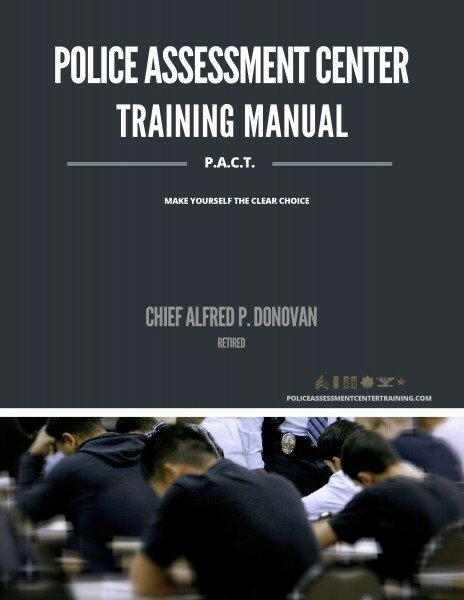 Police Assessment Center Training Manual & Workbook (2016 Ed). Our PACT Manual was written entirely by Chief Alfred P. Donovan (ret). Chief Donovan has written Assessment Center Test exercises for dozens of Assessment Center promotional tests conducted by numerous police departments in Massachusetts. Chief Donovan has also acted as Assessment Center Test administrator and evaluator on many occasions. Chief Donovan knows what types of exercises you are likely to face and he knows the responses your department is looking for and he shares them with you in this manual. 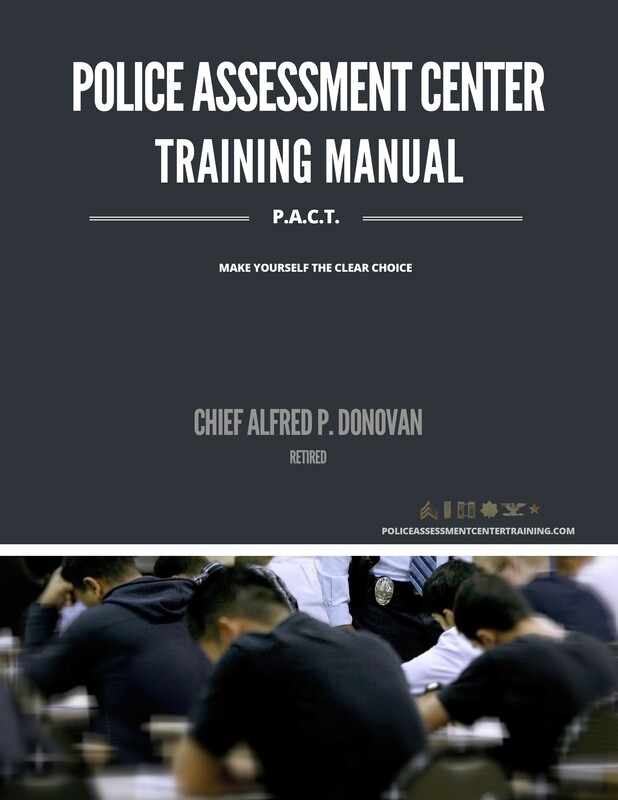 Click the link below to view the Police Assessment Center Training Manual Table of Contents in a new window.